I am honored to announce that we will be exclusively be working with The Accelerated Cure Project for Multiple Sclerosis. We are a national nonprofit organization dedicated to accelerating the cure of MS by facilitating research that determines the causes and mechanisms of MS. Our primary strategic initiative is the establishment of the MS Repository, a large-scale collection of highly-characterized biosamples available to scientists at any organization who are conducting research that contributes to our mission. All data generated through analysis of MS Repository samples is contributed back to the Accelerated Cure Project, resulting in an increasingly valuable and comprehensive information resource that can be analyzed to reveal new insights about MS. For more information about the Accelerated Cure Project or to make a corporate or individual donation, call 781/487-0008, visit acceleratedcure.org, or send an email to info@acceleratedcure.org. After speaking with these fine people on the phone for 2 minutes I knew immediately that we made the right choice and will be certainly looking forward for the next year working exclusively with Kelly and her team at the Accelerated Project. A week before registration begins ACP will be setting up a website specifically for our event. There you will be able to create a TEAM PAGE. You must use this site when making your mandatory donation. Additionally you will be able to use your team page to solicit additional donations through social media sites or from anyone that can get on the web and your team will receive credit for these donations. This is how we will determine our starting line order for day one. Those that bring in the largest amount of money for our charity will get their choice of where they start in the field till all 80 positions are filled. downs, Carbeau seats, and rear seat delete. This is an incredible cause to do a rally for! Great pick! The choice of a charity this year fell to Scott. After some more then slight nudging I backed off and genuinely told him there were several that looked great and that I would be supportive no matter his choice and i think he knows that I meant what I said. I know my personal life moved him in this direction. So I have to thank you Scott. Some of you know my wife Kelly was diagnosed with MS April of 2011 and all of you know now. We have learned a lot about MS over the last few months. There have been great advances made in fighting this disease over the last 15 years but at this time there isn't a cure or a medicine available that is guaranteed to stop it's progress. All of the medicines that have been on the market for more then a year are injectables of those the that have been shown to be effective at slowing the pace of the disease's advance many are not always effective for everyone and most have flu like side effects that make day to day life very difficult. There are 100's clinical trials taking place all over of the country and the Accelerated Cure Project is making blood samples of MS patients available for these trials as long as the results and finding are SHARED with the medical community. Many of the leading institutions in medical studies are taking advantage of what this charity has to offer. Any of you that have a found an automotive fix for an issue on a car forum can attest to the sharing of information to be a great thing. You would think that the Medical community working for a cure for MS and 100's of other diseases that effect the nervous system would want to share their results, but with current medicine prices ranging from $2500 to $8000 per month there are motives to keep your research secret. I hope that all of you can join us and can get behind this charity and join the fight to find a cure for MS.
Trust me when I say that I have never been more motivated. RacerTCI wrote: The choice of a charity this year fell to Scott. After some more then slight nudging I backed off and genuinely told him there were several that looked great and that I would be supportive no matter his choice and i think he knows that I meant what I said. Accelerated Cure Project for MS has one of the largest depositories of MS blood samples in the county and they are readily making it available to universities, hospitals and others that are willing to share their information working on finding a cure for what can and is a debilitating disease. Tony, you are a good friend. I am sorry to hear about your wife. Our prayers go out to you and your family. You have no idea how happy I am that we are helping out this Charity. It is my hope that if they find a cure for MS the results will also help find a cure for other related illnesses, like the one my sister has. I am excited and very proud to be a part of this! This is fantastic and a strong start to 2012! Great Charity, My cousin was diagnosed earlier this year. As someone that has been lucky to have ridden the better side of a disease for over 20 years that no one shares much info on, it is good to see that a group is trying to pool info to find a cure for this one. Well it when it came down to it, the decision was easy. I look at Tony as one of my closest friends. I think that what we do as far as the rally is concerned, well it really makes me feel good as a person knowing that we have done something to help someone somewhere whether it was a breast cancer patient or a wounded soldier. This year we can potentially help one of our very own. I haven't talked to Tony's wife too many times, but the times that I have I can tell you she is truely an amazing woman. We went with this because it is a direct feed to a project that is set on finding a specific cure for a disease that causes many problems in the host, from dibilitating pain, to blindness. So this year.. I hope everyone joins us as a united family in a chance to raise money for a very serious disease... and raise a record amount of money to help The Accelerated Cure Project find and defeat Multiple Sclerosis! Here is to another year in the RNA Nation.. lets make it one that we will never forget! It was a great choice for the charity and I definitely understand the obstacles you and your family have and will go through. It's awesome to hear that the Accelerated Cure Project pushes for shared information. My medicine cost over $312,000.00 last year, so you could imagine I've seen some of the ulterior motives too... so it's really refreshing to hear about an organization that pushes to combine research and get results. Happy to be a part of it!! 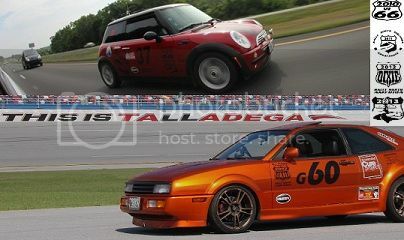 Will be attending our Starting Line in 2012. ACP for MS is very happy with what RNA has done for the charity this year!